Back in March I wrote an article on Keogh's for Foodbeast. They had created the perfect St. Patrick's Day snack food, Shamrock and Sour Cream Crisps! These Ireland born chips, aka crisps, as their known across the pond, are only available in the US on the East Coast for now, but the company was kind enough to send us a variety of their Irish crisps to try for ourselves here in LA! 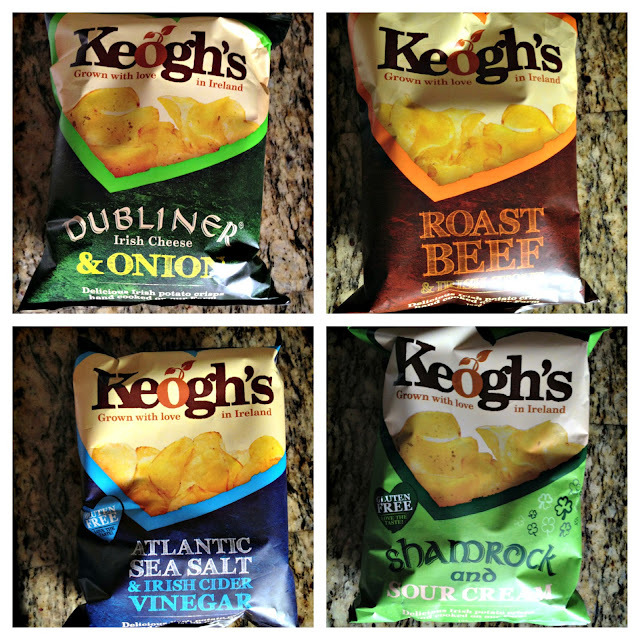 Keogh's sent us their four flavors: Dubliner Irish Cheese & Onion, Roast Beef and Irish Stout, Atlantic Sea Salt & Irish Cider Vinegar, and Shamrock and Sour Cream. Its simple really – we carefully slice each spud extra thick and gently hand cook them, skins and all, in fresh sunflower oil using a very old American kettle. Dubliner Irish Cheese & Onion: Perfectly crispy right out of the bag you first get a sweet taste from the Dubliner Cheese when you chomp on these crisps. The onion flavor comes after but it's definitely present. Though these crisps are fried in sunflower oil, they aren't greasy at all. This could be because Keogh's hand cooks the crisps in tiny batches, which ensures quality crisps each time! Roast Beef and Irish Stout: Now these were interesting! I've never had Roast Beef flavored anything other than a sandwich, but beef and beer chips? It's crazy! When I sniffed the open bag, it reminded me of barbecue chips. I popped one in my mouth and instantly tasted a Roast Beef sandwich...it was so STRANGE but delicious! More than a sandwich, it tasted like a rich au jus. I checked the ingredients to see what sort of powder made these crisps taste so much like the real thing and it literally said, "Roast Beef". Keogh's does it's best to source natural flavors local to its farm which makes for some awesome flavors! Atlantic Sea Salt & Irish Cider Vinegar (Gluten Free): The first perk about these tangy crisps is that they're gluten free diet friendly! I consider Salt & Vinegar chips my favorite flavor when it comes to my sandwich's side companion, but these Keogh's ones have taken my top spot. Not overly sour or tangy, these crisps achieve a perfect balance with the sea salt and cider vinegar. Shamrock and Sour Cream (Gluten Free): Probably the most unique flavor of the bunch, I had no idea what a shamrock would taste like. I didn't even know you could eat those good luck charms! This flavor tasted exactly like sour cream and onion chips, only way more flavorful! If I knew shamrocks tasted these good I probably would have been eating them a lot more! 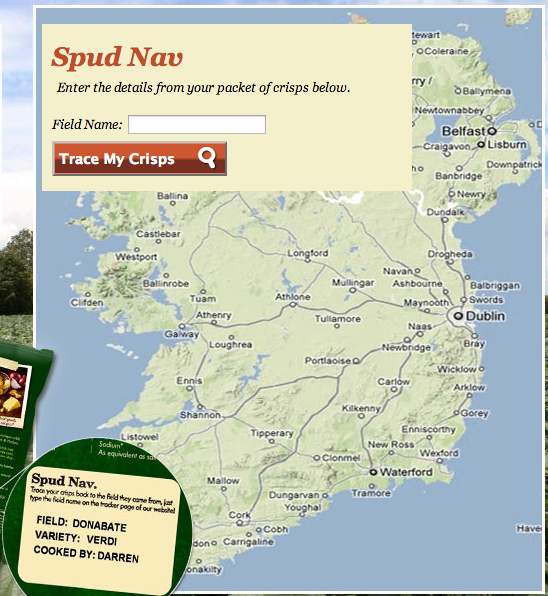 What's even greater about Keogh's is that you can actually trace your crisps back to the spud farm they came from! There's a code on the back of each back that you can enter on the Keogh's website so you can see where your particular bag of crisps were harvested and cooked up. Overall, these crisps were absolutely delicious! I'm just trying to make them last as long as possible since I won't be able to find them on the West Coast. For more info on Keogh's check out their links below!